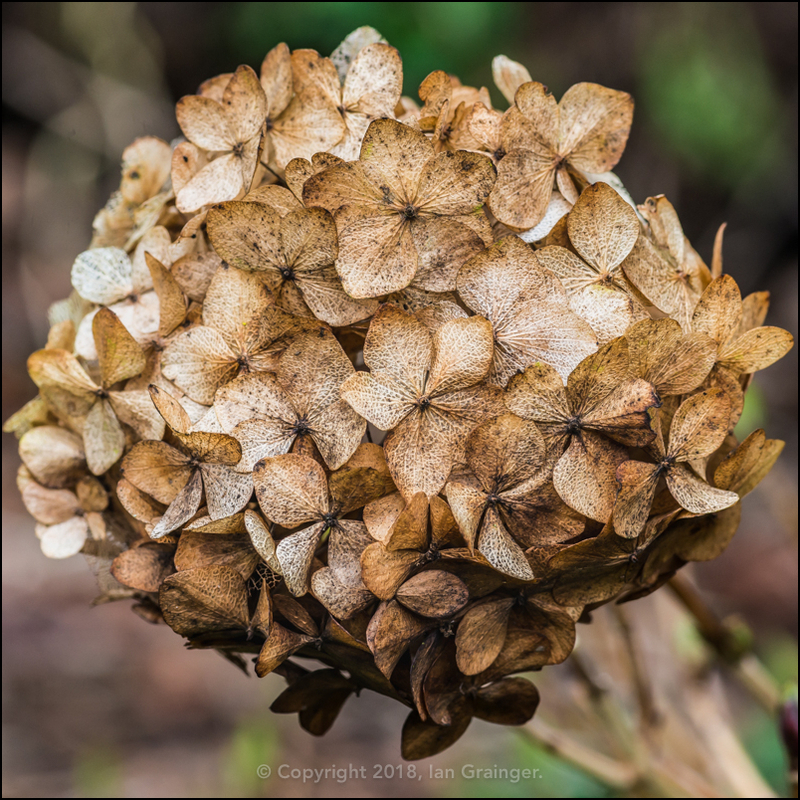 So this week we were back to the grey murky mid-winter weather that is the bane of the macro photographer. 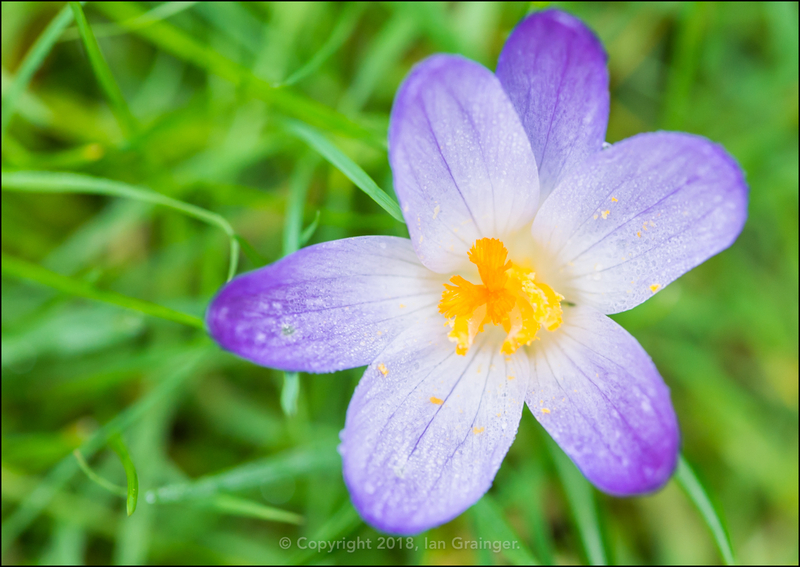 Getting up close to the subject means that there isn't an awful lot of light coming into the lens to begin with, but when combined with terrible weather conditions, it can be tricky at best to get a decent image. 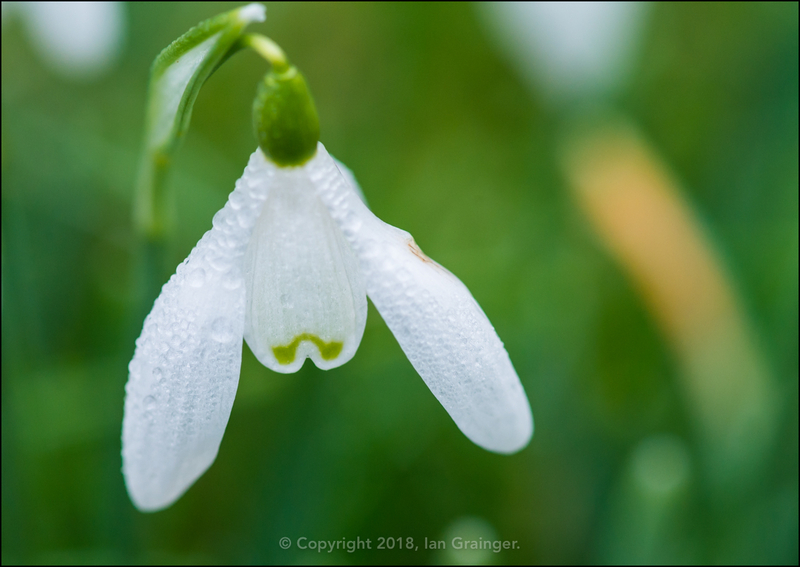 However, I persevered with the conditions, and was pleased to see this Snowdrop (Galanthus) had become the first one to open up and reveal itself. 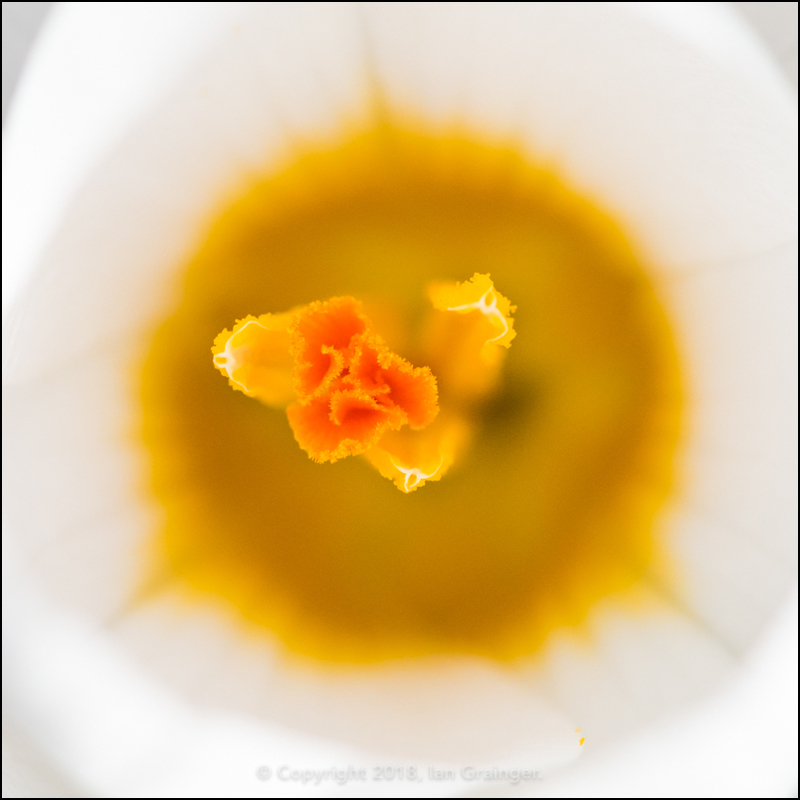 Considering my photo shoot was taking place in conditions akin to dusk, I was astounded to find that this Crocus had opened up completely. I'm still scratching my head as to how as I type this a few days later! 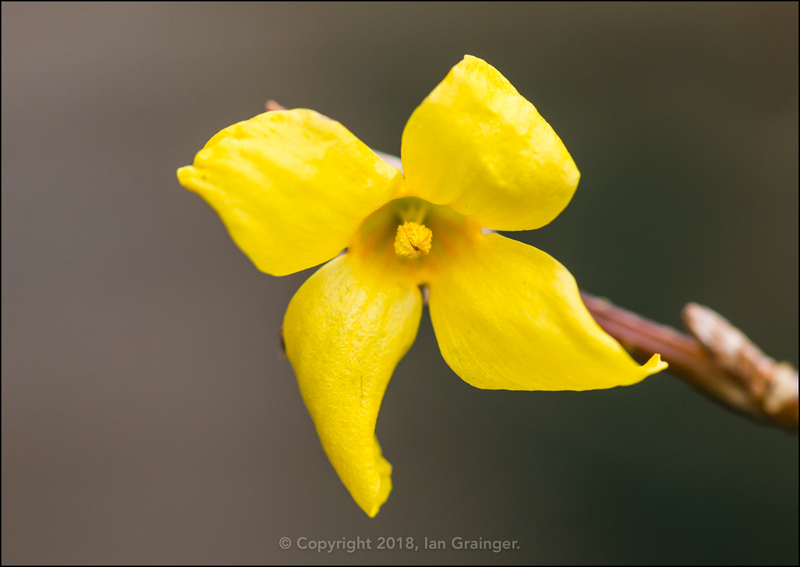 The Forsythia (Forsythia intermedia) bush flower buds continued to open slowly, but I was really looking forward to the day when they all opened up together, as if it was anything like last year, the sight would be spectacular. 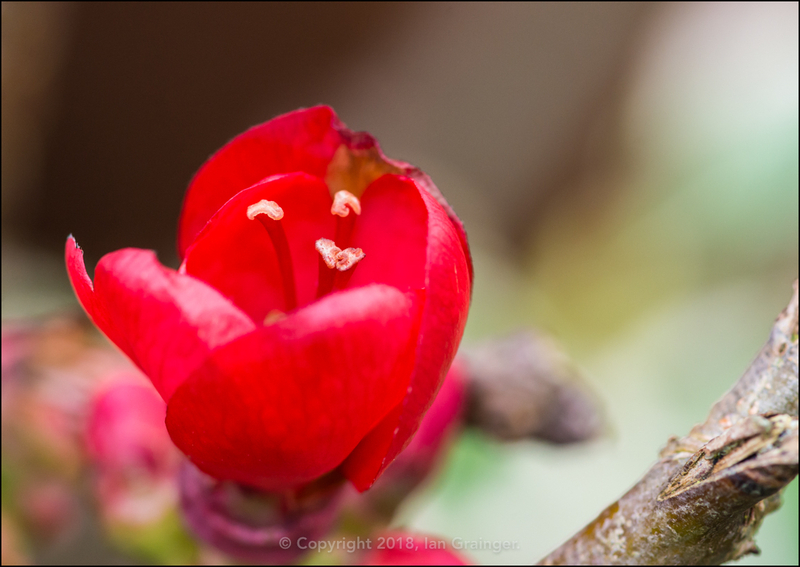 The Quince (Chaenomeles) bush also continued to flower slowly, and would soon also be a mass of red blooms. 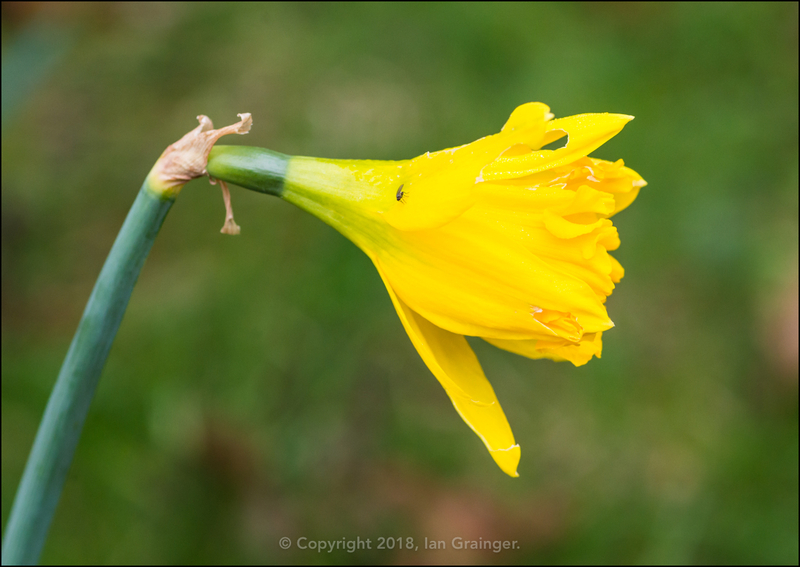 Along with the first Daffodil (Narcissus) of the year, came a tiny Fly (Diptera). I wondered if he was the chap who'd been feasting on the flowers before they had opened? 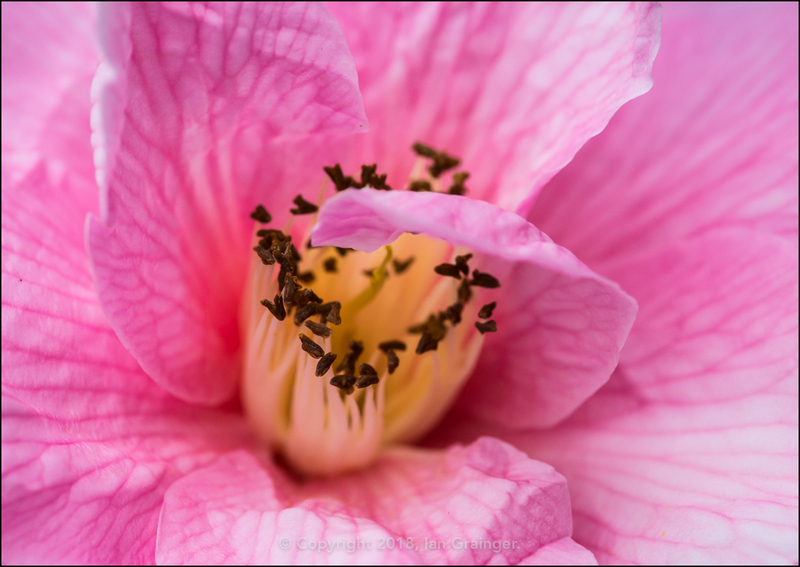 There were a few more Camellia buds open, and I liked how this one looked like it was shading itself from some direct sunlight - only there wasn't any - so it must have been my camera flash it was protecting itself from! 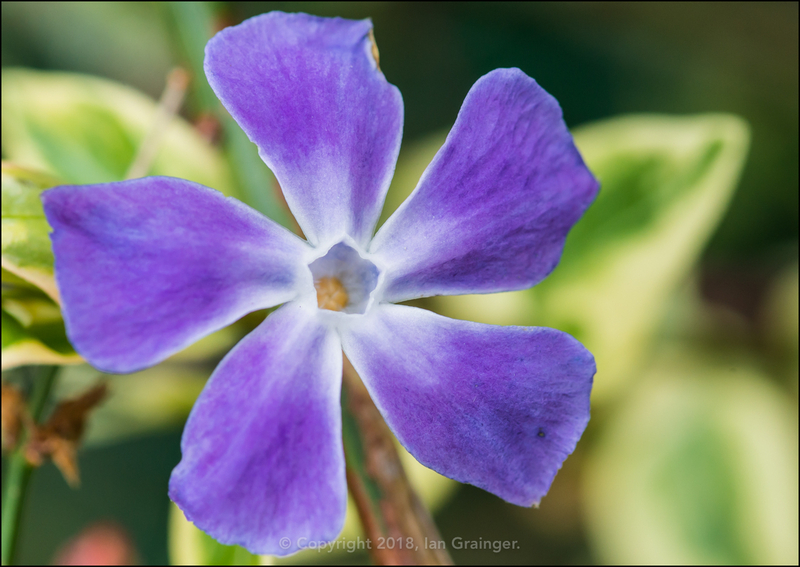 The progress of the Periwinkles (Vinca) was slowing down a little, although there were still a fair few buds left to open. 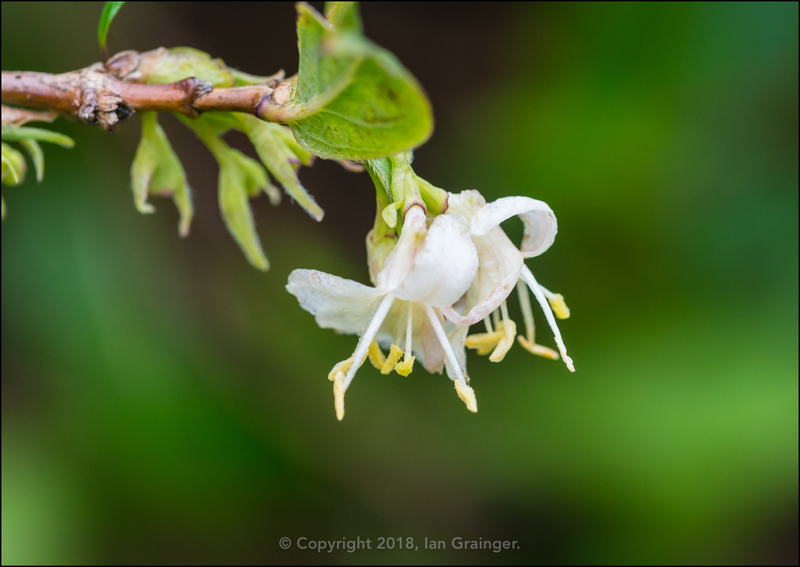 The Winter Honeysuckle (Lonicera fragrantissima), on the other hand, was definitely coming to the end of its season, with these being some of the final few buds opening. 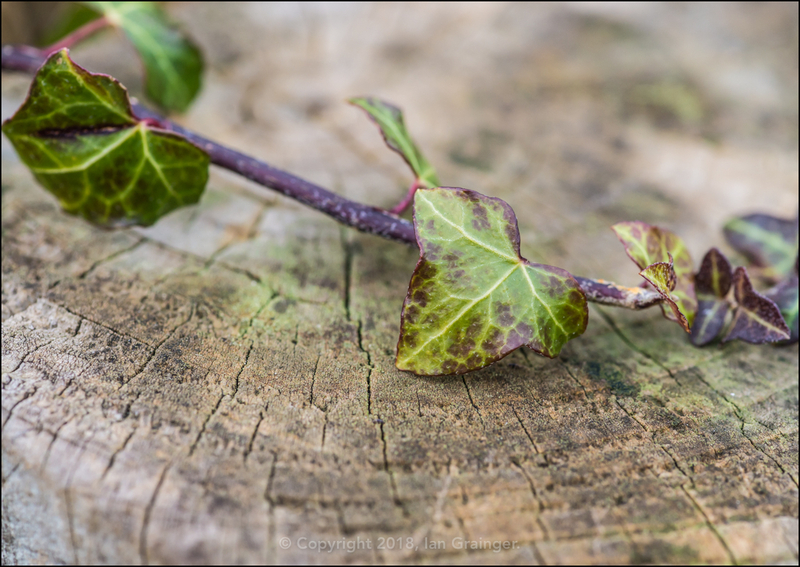 ...and then came this small branch of Ivy (Hedera) leaves twisting its way over a gatepost. 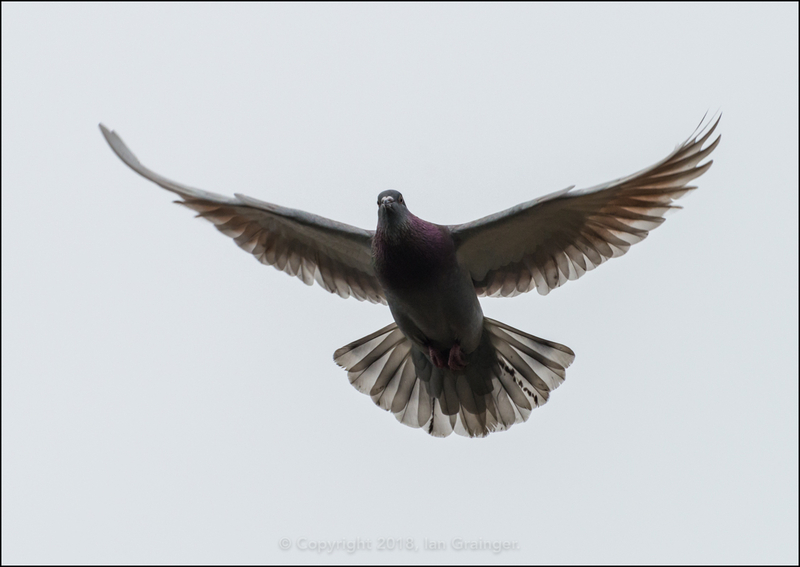 Flora subjects pretty much exhausted, I turned my attention to Fauna, and in particular the Feral Pigeon (Columba livia) community. This particular individual had been following me around all morning, supposedly under the impression he would be fed if he hung around for long enough. 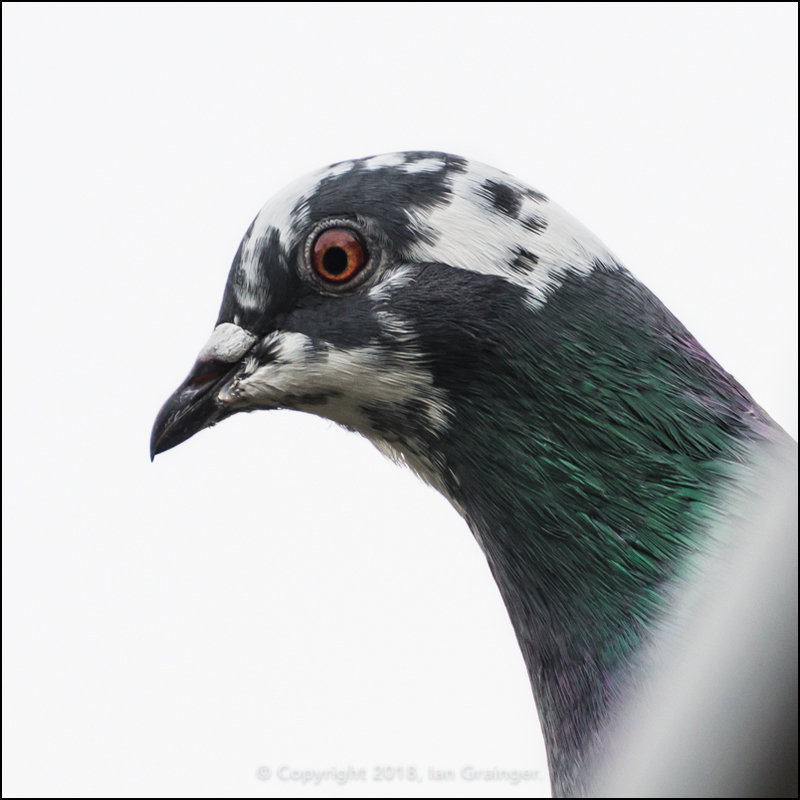 This inquisitive chap settled just above me as I caught my breath on a garden bench. Many think of them as vermin, but I actually quite like them! 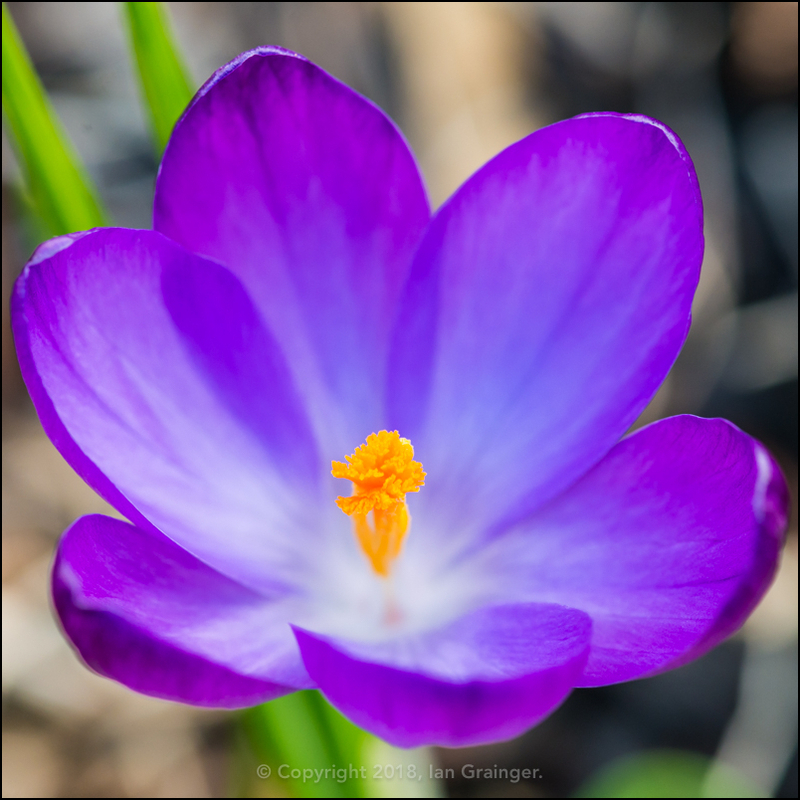 ...and was also pleased to see this lone purple Crocus opening up in same mid-winter sunshine. 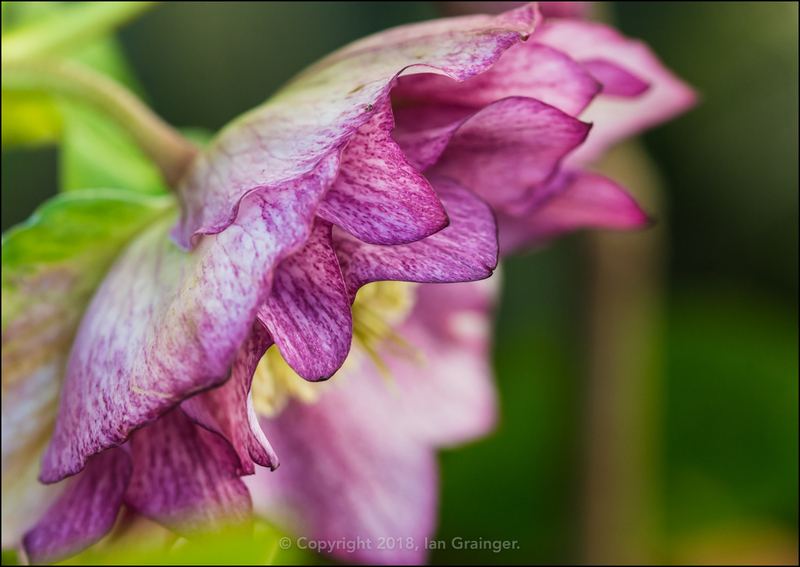 The Hellebore (Helleborus) plants were also enjoying the sunshine, occasionally throwing their heads upwards, but more often looking down at the ground. Finally, here's one of my fishy friends. 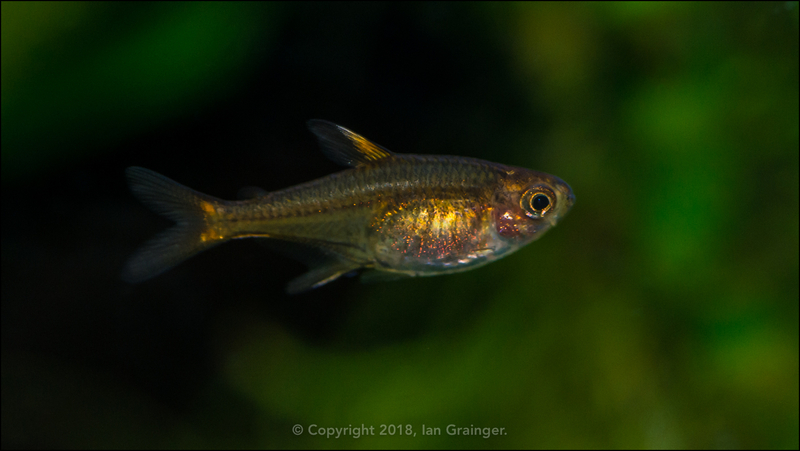 He's one of my many Ember Tetras (Hyphessobrycon amandae), which I now have in three of my aquariums. In the long term, I'm probably going to move them all into one aquarium and have a large school of them, but for the moment, I like seeing them in various tanks around the house!